Lauren is home, so we needed a vegetarian dinner option and opted for a Quajado, an egg, cheese and vegetable dish. For tonight, we used zucchini, feta and cheddar. The combination was simply delicious. Salty, rich and slightly sweet. 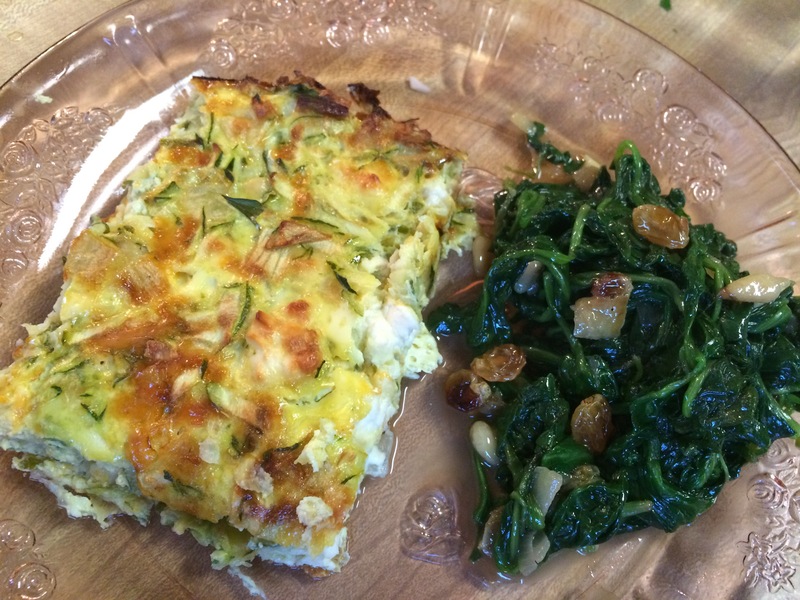 To complete the dinner we added a Spanish spinach dish with pine nuts and raisins. The combination was served on my grandmother’s beautiful depression glass plates. Squeeze any excess moisture out of the grated zucchini. 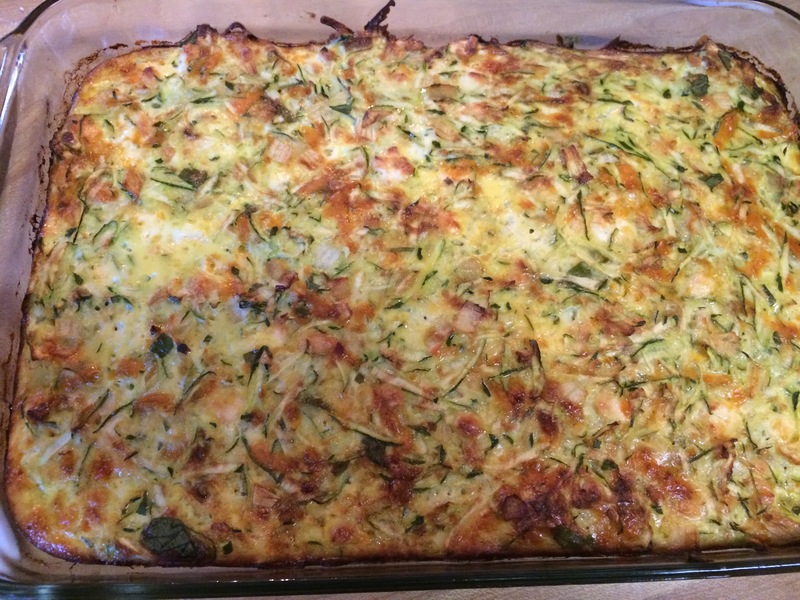 Combine zucchini, onions, eggs, parsley and cheeses. Add salt and pepper to taste. Feta cheese is extremely salty so it may not need any salt at all. Spoon into a greased 9 x 13 inch baking pan. Bake at 350 for approximately 1 hour, until set.